As we come to the end of 2017, we can celebrate everything great that has gone on. We can spend our time reflecting back on the achievements of Lewis Hamilton, Chelsea or Exeter Chiefs. There were some great team wins and some individually brilliant performances. The race for The Grand National, won by One for Arthur stands out in our memories, from an amazing Grand National weekend filled with legendary winners. The sporting season starts quite late on in January 15th with the Australian Open. It is the first event of the tennis season where all of the big guns will be turning up and expecting to win. The first of the five Grand Slams is the chance for Selena Williams and Roger Federer to defend their titles. This year we are treated to the wonders that will come from the Winter Olympics and Winter Paralympics. As the world’s best winter athletes head over to Pyeongchang in South Korea, our eyes will be glued to their triumphs and tribulations. We’ll be caught up in every trip and fall, every spin and landing, then watching with joy at the nail biting, tip of a ski win for any home favourite. If you like your action on two wheels, then the World Track Championships takes over the last week of February and into the first few days of March. It is a time when the best track cyclist in the world, come together and fight it out for a famous and revered rainbow striped jersey. With so many disciplines, there are home favourites in almost every event. Laura and Jason Kenny are two fo the biggest names to look out for, but you could easily support any rider in the British colours and fully expect them to come away with a medal at the very least. The name Masters has become synonymous with the golfing event held in Augusta every year. It is the event to which every golf professional longs for an invitation to. The best of the best turn up ready to show off their ultimate game and prowess. All in the fight to win a green jacket, which will be kept in the club house until they show up again next year. 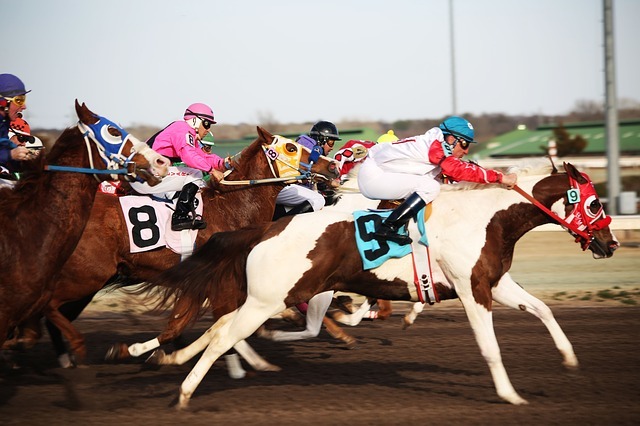 The last event for the start of the year is the world-famous Grand National on April 7th. The crown of the horse racing calendar hits our diaries in the first week of April. Last year’s race was an instant classic, with One For Arthur winning by four and a half lengths from the rest of the field. Although it is months away, the Grand National 2018 is already starting to build up a buzz around the riders and horses. The course will have undergone months of manicuring and finessing before any of the horses even get to have a look at it. We can only wait with anticipation for the season to start and our TVs to be glued to latest sporting greats and legends being created. How to bet on UFC with new MMA betting calculator?